In the present paper by the use of the Monte Carlo method, an optimal selection of components for a hydraulic excavator swinging mechanism has been made. Three objective functions are defined – the total mass of the components “hydraulic motor”, “gearbox”, “slewing bearing” and “small sprocket”, as well as the product of the total price and the total mass and the price of the same components. By computation of the objective function for multiple random combinations of the components and subsequent ranking of the objective function values, an optimal combination of the components is selected. A major advantage of the method is that it is suitable for computer realization and the number of required calculations is relatively small. Another advantage is that by the objective function value rankings close to the optimal additional combinations are obtained, which significantly extends the design possibilities. Turbo-generator (TG) steam turbine energy efficiency and energy power losses in a wide range of turbine loads were presented in this analysis. For TG steam turbine was investigated influence of steam specific entropy increment from the real (polytropic) steam expansion on energy power losses and energy efficiency. TG turbine energy power losses, during the all observed loads, were in the range from 646.1 kW to 685.5 kW. The most influenced parameter which defines change in TG turbine energy power losses is steam mass flow change, while for small steam mass flow changes, influence of steam specific entropy increment on steam turbine energy power losses is the most influential. Steam specific entropy incremental change can be used to estimate the change of TG steam turbine energy efficiency. Increase in steam specific entropy increment resulted with a decrease in TG turbine energy efficiency and vice versa. Analyzed steam turbine energy efficiency ranges from 53.84 % to 60.12 %, what is an expected range for low power steam turbines. A sulphide flotation concentrate containing 15.2 g/t gold and 893 g/t silver finely disseminated in pyrite (4.1 % sulphidic sulphur in the concentrate) was treated by a two-stage process to recover these precious metals. Initially the concentrate was subjected to microbial oxidation by means of different acidophilic chemolithotrophic microorganisms (bacteria at 37 oC and archaea at 59 and 86 oC) to expose the precious metals encapsulated in the pyrite. The precious metals liberated in this way were then subjected to leaching by means of solutions containing different reagents (protein hydrolysate, thiosulphate, cyanide and some chemical oxidizers). The leaching was carried out in agitated reactors and up to 93.6 % of the gold and 80.8 % of the silver were solubilised in this way for 48 hours from a pulp density of 20 % at 57 oC. 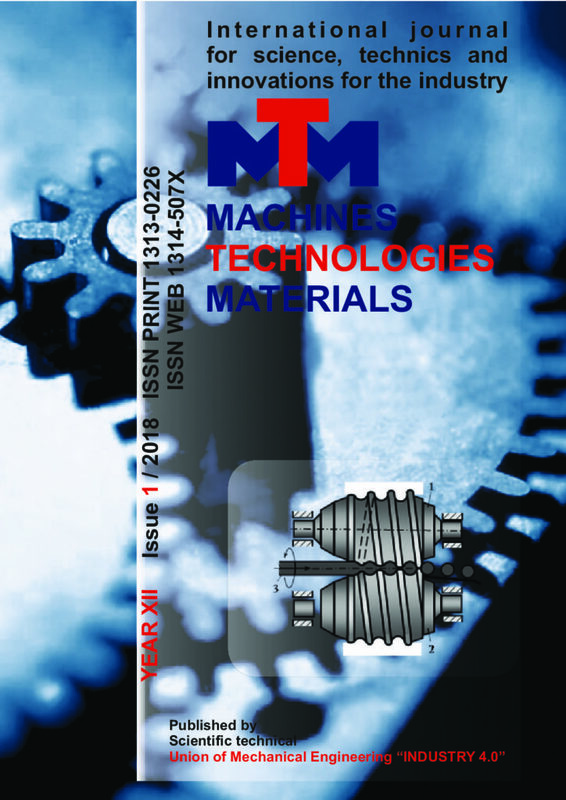 The paper deals with the design and experimental verification of a new control structure with reference model for the tension control in the technological processing line the stability of which is derived on basis of the second Lyapunov method. The properties of the proposed controller were verified by experimental measurement on a new concept of hardware-in-the-loop (HIL) simulation platform based on programmable logic controllers (PLC). The experimental measurements confirmed that the proposed control structure is robust over a wide range of controlled system significant parameters changes together with invariance and desired dynamics prescribed by the reference model. Theoretical and experimental data on the impact of heating rate during spark-plasma sintering on densification kinetics, grain size and capillary pressure in powder compacts, based on Fe, are given. It is found out, that an increase of heating rate in range from 10 °C/s to 20 °C/s leads to acceleration of process of obtainment of non-porous compacts and decrease of structure grain size.